You probably thought that your business, because it is small-scale will no longer need liability insurance. Wrong. The truth is, any business, regardless of size, is required by law to have business liability insurance. This is to protect your business from the daily operational uncertainties which most of the time could equate to huge financial losses. Accidents and unforeseen business crisis happen when they are least expected. And if you depend on your company’s income to shoulder the expenses arising out of such mishaps, the company or business will not last long. And as a business person, keeping your business or company protected from such a letdown is top priority and concern. 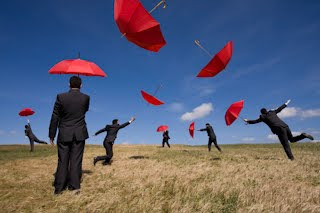 So what kind of insurance coverage will your business need? How much coverage or protection will your business require? There are many answers to these two questions. Insurance coverage and protection usually vary from business to business, state to state and funds to funds. A discussion with an insurance broker will help you determine all of these based on the needs of your business. General liability insurance for your business will serve as your company’s buffer against any claims from third party resulting from bodily or personal injury, damage to property, false advertising, acts of negligence, etc. This will act as a fund or a budget of the company to take care of all financial obligations resulting from any of these circumstances. And as in any regular small-scale business, the owner fears that his personal funds will be utilized eventually for any of these especially if the financial standing of the business or the company is already shaky. Although the insurance broker or agent will give you an idea of what your business needs in terms of insurance coverage, you have to make your personal assessment of what your business needs, how much your coverage will be and how much the business can afford to allocate for these insurance covers. An important factor to consider is how much coverage is needed for the business. Most businesses would opt for nothing less than a million dollars. This is the generally accepted mark for most businesses as more than enough to cover for most liability claims. Still, this amount may vary on the upside especially for businesses that pay high amounts for punitive or corrective damages. Another important factor in determining the amount of coverage is the risk of the business. If your business poses high risks for the customers or end users, the amount of coverage needs to be on high side. On the other hand, a low risk business will not need as much. For some businesses, it may be necessary to include additional liability insurance like vehicle or automobile, professional and product liability insurance. These are additional protection for the company for additional claims made by third party against the company. If your business utilizes corporate vehicles in the business operations, an additional liability coverage for vehicle will be necessary to have additional protection in the event of an accident or a mishap involving said corporate vehicles. If your business employs professionals like engineers, architects, designers, etc., the risk of errors or mistakes committed in the performance of their work may be high and prone to legal battles. You need to have coverage on this to protect the company from any lawsuit arising from a failure in design of an architect or an engineer, for instance. If your business is involved in product manufacture or distribution, a good way to protect your business is by having product liability insurance. This will protect your business from total collapse should a product liability lawsuit is hurled against your company resulting from defective product, false advertisement, consumer injury or health complications, warranty breach, etc. While all of these may sound expensive and costly, there are insurance companies who offer packages at affordable rates or premiums. If you are buying general liability insurance and opt to buy additional liability insurance coverage as well, you will have a better package price than if you are just buying the general liability insurance coverage. Having a thorough consultation with an insurance broker and doing some personal research will put you in a better position to decide what is best for your business in terms of liability insurance coverage. My name is Mary G. Watson. I am a freelance writer for www.liabilityinsurance.org. I am 33 years old and I have 2 sons. I used to work at a car company in New York as a car insurance agent. I usually write about insurance. However, my topics are not only about cars but also about business and other topics as well. Having insurance protection is certainly important these days. You may resent having to pay a monthly premium but at least you can be sure that your business' financial security won't be compromised should unfortunate events occur.